Storage has evolved and data transfer has evolved quite a way even since we first discovered the marvels of top-quality external hard drives, which as substantial as they were, couldn’t fit into your smartphone, your GoPro, or your digital camera, so it was wires, wires, wires whenever you wanted to transfer data such as music, movies, and memories from one device to another. Thankfully, SD card readers can do all of that and more, and the best SD card reader is a simple plug and play option for transferring multiple files seamlessly between your ever growing collection of devices. Our top SD card adapter is the Transcend USB 3.0 SD Card Reader which is super speedy, super easy to use, and so intuitive you’ll hardly have to lift a finger. It’s a USB 3.0 card reader but is also compatible with USB 2.0 so anyone in the tech stone-age can join in on the fun, and can transfer multiple files types from pictures to music and everything in between in seconds. Also included is a RecoveRx data recovery download, so even if you’re not totally up to date with your backups, you’ll have something to fall back on. Cheap and cheerful, it’s reliable and high performing, and all for under $10. 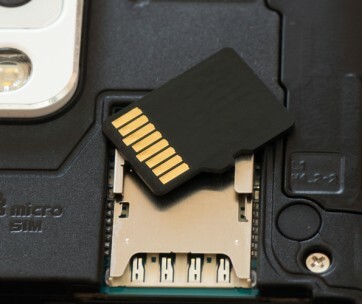 Make sure you also check our guide to the best microSD cards. The Anker 8-in-1 USB 3.0 Portable Card Reader is a more versatile option at a slightly higher price than our best choice memory card reader. 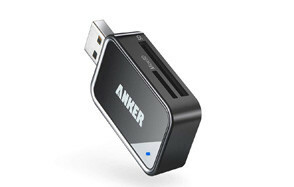 It’s compact and takes up little space around your USB ports and also offers speedy data transfers up to 5Gbps. If you’ve got multiple storage options, this can read and write with both cards at the same time to minimize downtime, while the driverless installation ensures you can get going as soon as you plug it in, because those dull installation drivers were a total drag, right? Boasting great compatibility with both SD and CF, the IOGEAR 3-in-1 USB-C Quantum Card Reader is a great choice for those using more modern ports. It connects with USB-C type inputs and also works with Thunderbolt 3 devices. Though a little larger than others, it still boasts a sleek design, which makes it an external SD card reader that will fit in seamlessly with Apple products without looking out of place. Also compatible with USB 2.0, there’s little you can’t achieve with this baby. Our handy guide to the best USB flash drives features more great products like this. Designed with protecting the input port in mind, the Lexar Professional USB 3.0 Dual-Slot Card Reader is a great pick for those on-the-go for easy deployment whenever it’s needed. It provides fast data transfer up to 500Mbps, while the pop up design ensures your ports remain clear when not in use. It’s compatible with both CF and SD, and you can use both at the same time to maximize efficiency, which is especially useful when racing to meet a deadline. It’s not as sleek as other options, but it’s safer and likely more durable, too. The ultra-compatible UGREEN SD Card Reader Hub is a great pick for photographers and video editors working across a variety of mediums. It accepts CF, SD, microSD and TF, and is constructed with high quality copper to protect your device when in use. It identifies each card with ease when inserted to prevent awkward overlaps and confusion, and transfers data so quickly you won’t even have the chance to read the speed. Completely driver-free, it works as soon as you plug it in, and acts as if your computer has known it all along. Love this product? 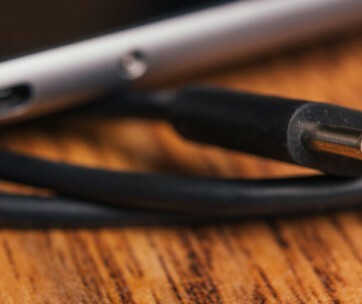 Check out our review of the best USB C cables for our top picks. The Unitek 3-Slot USB 3.0 C Card Reader is an excellent choice for anyone on the go using USB-C ports or Thunderbolt 3 docks. You get multiple ports for a variety of storage card connectivity and it can read all cards at once without sacrificing speed. It’s compatible with new devices, including smartphones with Android over 6.0, and while it has a cable, it’s only 1 foot long to reduce desktop clutter and keep everything close at hand, of should we say keyboard? It’s sleek, it’s smart, and it’s a great pick for busy professionals who need fast, hassle-free data transfers. The SmartQ USB 3.0 Portable Card Reader works with both USB 3.0 and 2.0 to provide greater transfer versatility and is compatible with multiple storage card options. The sliding cap keeps the USB head protected when in transit, and prevents potential damage, while the sleek black design looks good. If you’re looking for a simple, cheap, but also reliable media card reader, this is one of the best you’ll find for home projects or just simple storage solutions when you want to keep all your data organized and easily accessible. Find more great products like this by checking out our guide to the best USB hubs. Leave it to a company like SanDisk to deliver what’s arguably the best SD card reader ever. The SanDisk ImageMate All-In-One USB 3.0 Reader / Writer gives you everything you need for desktop files transfer to stay organized at home. 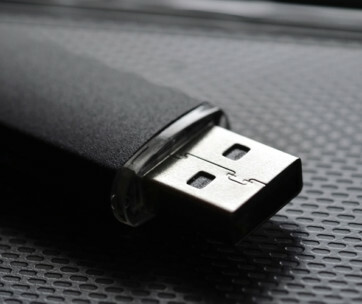 The USB 3.0 connection reaches speeds of 500Mbps and transfers all types of files including music and photographs. 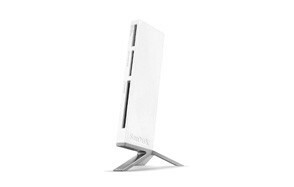 With multiple card ports, you’re set for any demands, and to ensure it looks as good on your desk as your computer does, the reliable stand helps reduce clutter. The Anker 2-in-1 USB C SD Card Reader is a compact option for those who hate dealing with clunky devices at home or on the go. It works with USB-C devices (and by extension, Thunderbolt 3), and boasts 2 SD card slots for both standard and micro types. Despite its size, it’s super-fast, and allows you to transfer your data in seconds with 5Gbps to your laptop, but is more suited to smartphones so you can maximize your transfer options with a handy little device. It’s also sturdy and durable, making it ideal for those who need it in a flash wherever they go. You may also like to check our guide to the best HDMI cables. Our final SD reader is the Verbatim USB-C Pocket Card Reader which is sleek and easy to use. Compatible with USB-C, it’s an ideal option for more recent devices, and the integrated USB cable, while short, prevents clutter and saves you damaging the device by knocking it on desks and walls. 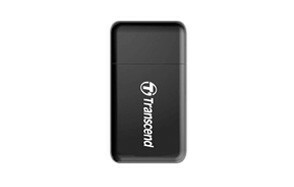 The plug and play functions allow it to work immediately with both Windows and Mac operating systems, and it’s compatible with a variety of storage cards to ensure you can transfer your data faster and more efficiently than you thought possible. It wasn’t easy picking the best SD card reader, but using these parameters, we think we did a pretty good job, if you don’t mind us saying so ourselves. Brand - Tech brands can be tricky as you don’t always know if they’re trustworthy, but looking at the trajectory of recent brands helped us determine which were legit and which were not so legit, and if they weren’t legit, they didn’t make the list. Reviews - USB card reader reviews were crucial in helping us figure out our selection. They gave us information on the true (not just optimum) transfer times; they helped us understand potential issues and also allowed us to figure out which readers were compatible with which devices. Price - Top tech costs top dollar, but we don’t think it’s far to exclude people who don’t need or want to spend too much money on their gadgets. As always, we’ve searched for a wide range of prices so everyone needing a files transfer solution can make sure they get one. Before settling on your card reader, make sure you consider these important features that can help you get the most from your purchase. Speed - We live in an ever-accelerating world, so a fast card reader is essential for keeping your workflow at optimum speeds. Faster connectivity ensures more streamlined operation, and much less bashing the monitor and lamenting modern technology and everything that came before it. Connection - With advancements in modern devices, you need a USB SD card reader you can connect to your device. If you’re still using standard USB devices, a USB-C type won’t do you any good, so make sure you don’t purchase the wrong thing. Read/Write Speeds - This refers to how quickly your card reader will transfer data between devices and storage cards. The faster the read and write speed, the quicker you can get on with your day and the less lagging you’ll get. It’ll also make it easier to transfer between multiple storage devices simultaneously. Inputs - With the variety of storage cards around, you want to find the most versatile input options. For maximum control over your data transfer, look for one with multiple input ports that can work as a microSD card reader, a CF card reader, and a standard SD card reader to ensure whatever your method of storage, you’ve got it covered. LED Indicator - While not always essential, an LED indicator is useful for gauging when the reader is connected, warming up, ready for use, and finished. A blinking light usually indicates wait a minute, while a solid light means you’re all ready to go.